From the music of Jimmie Rodgers and the Carter Family to that of Hank Williams Senior, Bob Wills and Hank Penny, Louis Armstrong, Duke Ellington, and Fats Waller; from ancient folk songs to authentic blues and even, occasionally, to music like Beatles' Yesterday and Long and Winding Road as guitar instrumentals, Charley does it all. His own songs and instrumentals are written in several styles: (The Tickler, ragtime for piano; Grandpa Flatpicked, a bluegrassy story song; Night Flight, contemporary jazz for piano; among many others. Charley's compositions have been recorded by numerous artists. A recording of his Florida Moon by singer Jan Milner was chosen a few years ago as theme music for television broadcasts of sessions of the Florida legislature. 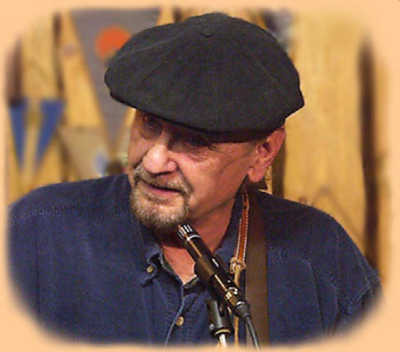 For more information on this talented multi-instrumentalist, singer/songwriter, veteran artist and Florida's "Music Man", visit Charley's own comprehensive web site: www.cgmusicman.com, where you will find a treasure trove relating to the music of the American Heritage.